Welcome to WPLearners.com and Thank you to visiting our web page. In this tutorial we should learn you How to Add McAfee Secure Seal Plugin for free into your WordPress site. 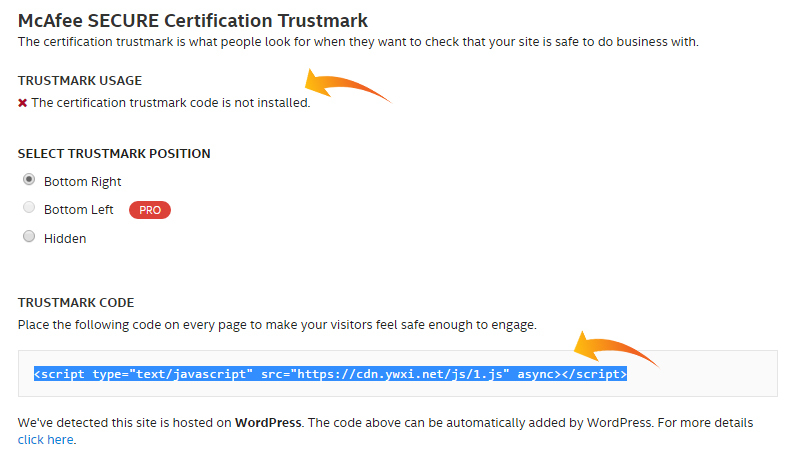 If you are running your site then you have to add McAfee Secure Seal for your WordPress site to increase your visitors trust. McAfee is initial security application program by McAfee which makes your site safe for your visitors. There is a free plane of McAfee for 500 visitors in a month. If you have more than 500 visitors then you have to purchase Pro version for $9 a month for unlimited visitors for your site. To do installation of McAfee WP Plugin on your web site follow our instruction. Click on Plugins button and then click on Add New button. In Search Area button type McAfee Secure and press Enter button. Click on Install Now button to install Plugin. And Activate Plugin. Go to Settings and select McAfee SECURE. Its settings will be displayed on the screen. To complete the setup process stay with us. 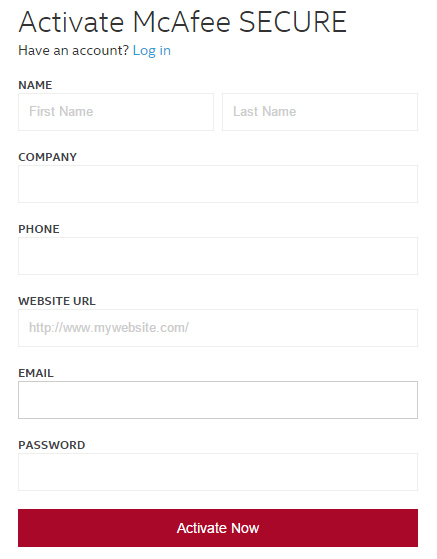 Type your Email Address and Website URL then click on Get Started button. McAfee official site will be displayed. On this site you have to complete some information to complete your activation. You should to add Name, Last Name, Company, Phone, Website url and E-Mail and Password at last click on Activate Now button to active your account in free. Your McAfee SECURE account has been created click on Continue button. When you click on Continue button a new screen will be displayed click on Install Now button to complete the process. McAfee SECURE Certification Trustmark is added automatically into your site. For best uses copy the given “TRUSTMARK CODE” into your web site. For this copy the given “Code”. Click on Appearance then click on Editor. Find footer.php scroll down and past the code above the Body Line.